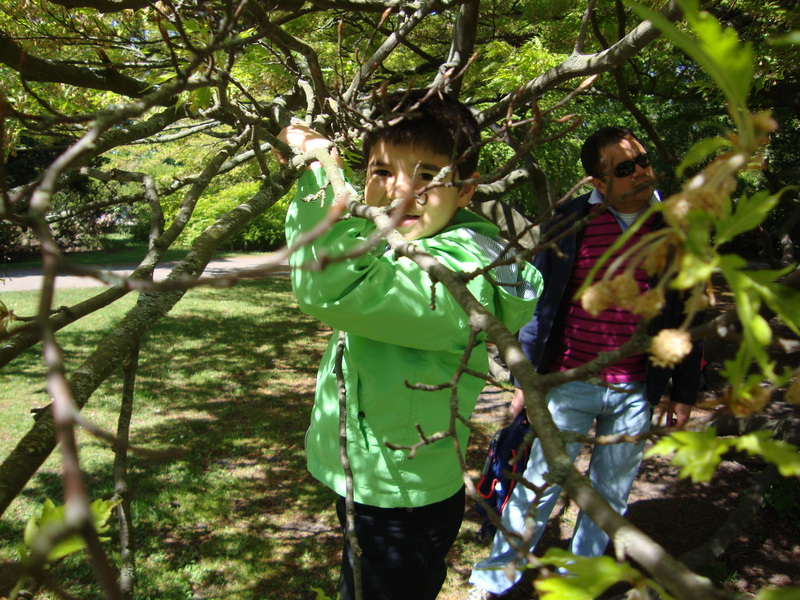 Any city break in any capital in Europe provides lots of fantastic times as a family, if it is spring time, if there is lots of sunshine and if you are ready to walk all over the city. Copenhagen was not an exception, when we reached finally after a short border story which I have written in my previous post. 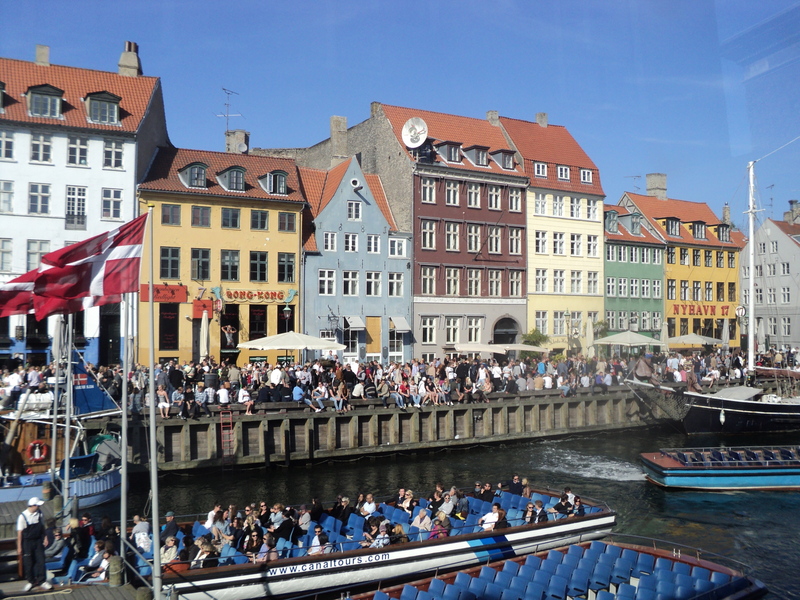 Copenhagen is among one of the most expensive cities of Europe. 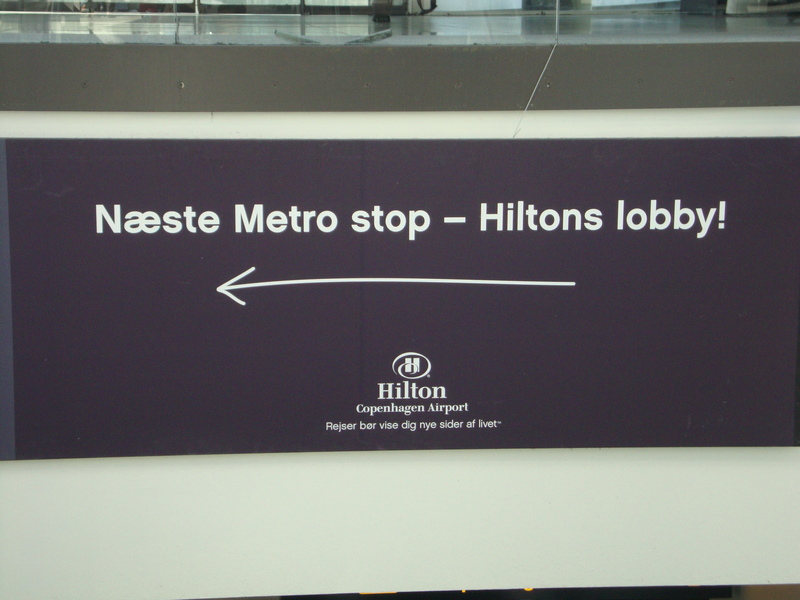 One reason we preferred to stay at the Hilton Copenhagen Airport was because it was a five star hotel, with a price of 4 star hotel in the city center. 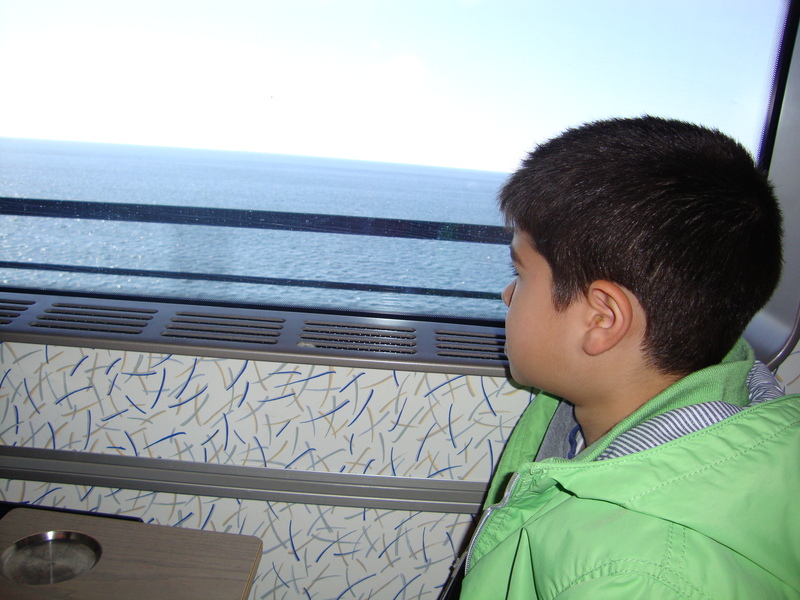 Moreover, this provided us a convenient day out to Malmö/Sweden, trough Oresund bridge and more sleeping time in our final day, before our early flight. That seemed to be a very right choice, when we reached to the airport, as the hotel was in the very center of the airport, with elegant decoration and nice food for all 3-night-dinners. Moreover, it was silent enough isolated from the voice of the planes, plus had a very convenient Metro station, from the lobby of the hotel to the very center of the city. 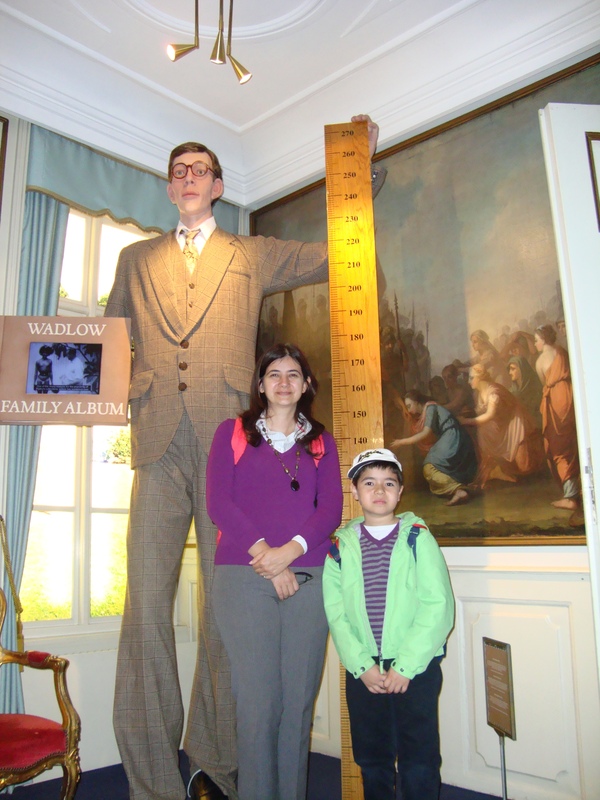 Two “must visit museums” in Copenhagen with children are, the two museums: Guiness World Records Museum and Ripley’s Believe it or not museum, both very interesting and fun to visit. Both operated by same (or partner) companies, so they provide a discounted ticket if you buy for both here. Guiness is as you probably already know, a little museum, giving information about all kinds of World Records. Ripley’s Believe it or not museum on the other hand is another little museum, with unbelievable things exhibited. 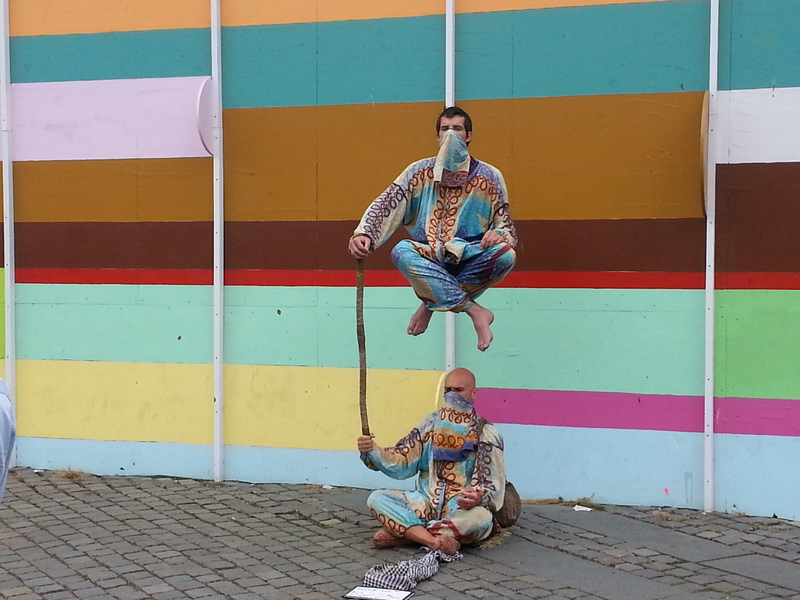 Most of the things to see in Copenhagen are on “Stroget” or around. Stroget is the longest and oldest pedestrian shopping street of the world, established in 60s. And in the very center of this Stroget, there is Europe coffee the best place for a “people watch” activity, to relax and if your children are tired of walking, you can easily leave them there (preferably with their father) and enjoy shopping. When we travel, we see lots of places that we take photographs, videos, show our friends and families how nice places we’ve been and let them see and hear the sights and sounds of the city. However, there are some places on earth, where none of the photographs or videos or any virtual reality application can provide the 5 sense feelings: Like Nevhavn in Copenhagen, like Times Square in NY, like a Bosphorus trip in Istanbul, or like Peace Park in Hiroshima or a parfumerie factory in Grasse, France. The smell of the sea, people, history perfectly matching with the sights and sounds. Nevhavn is such a place. You have to sit, relax, enjoy an evening with a nice wine, listen the on street musicians and the sounds of boats, crowd, the sea and swear not to forget this, all your life. My dear followers, with children; Don’t you think that a hop-on-hop-off bus in the major cities are life savers in our city break travels? For us, yes they are. As soon as you get tired of walking, but of course too early to go back to your hotel, you take a hop-on-hop-off bus and enjoy nice view of the city with relax and away from “I’m tired” cries of the children. 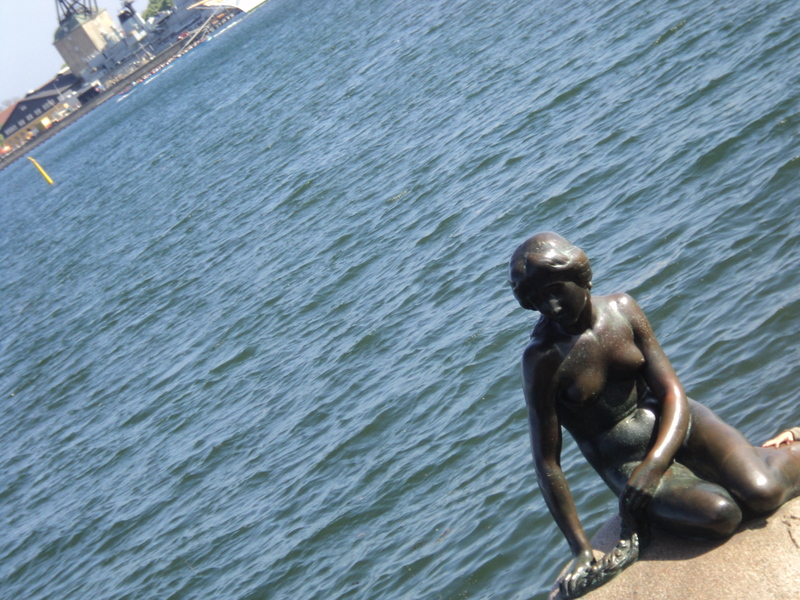 Moreover, it would be to hard to walk all the way to the world famous symbol of Copenhagen: Little Mermaid. So I strongly recommend that you take a bus to reach there and try to take a photograph, if the Japanese tourists let you to do so. 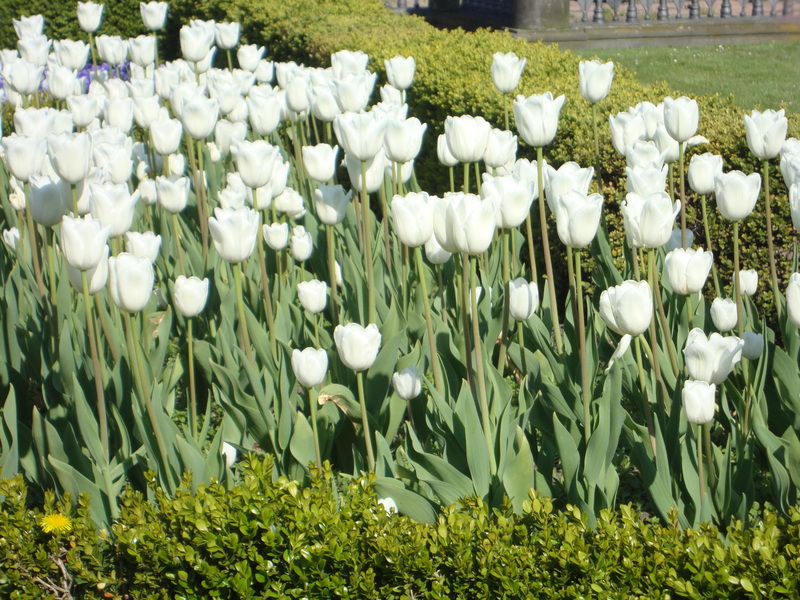 The final point that one should must visit in a travel with children to Copenhagen is the Tivoli Gardens, the second oldest amusement park in the world, opened in 1843. The rides itself are not better than any other rides in the theme parks around the world, but the park itself is very green with lots of flowers, nice restaurants and some shops. 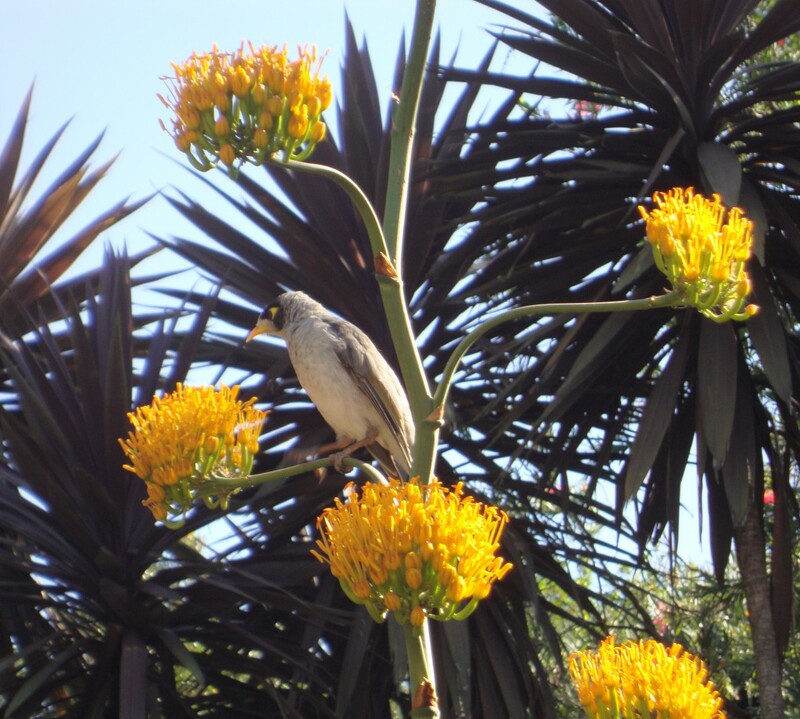 So allow yourself at least a good half day to relax in the park, maybe ride some rides and enjoy the sun. For our final day, we decided to take a train to Malmö, Sweden, to add a new pin on our world map, in another country. It was my second visit to Sweden, but first for my husband and our son. Staying at the airport Hilton Hotel, it was very easy to take a train and in just about 20 minutes, we were in Sweden. Malmö is a nice little city of Sweden, where there are some nice design shops, parks and old Piazza’s with lots of cafes and restaurants. Nice place for a relax day. Lot’s of reasons for lots of people. Of course I will not count all the reasons that may be, but a reason we’ve been to Copenhagen a few years ago, was among the most interesting ones. If you’ve read the “about us” page, you already know by now that I am from a semi-developed country. Being from a semi-developed country means that you are a big potential of being a refugee-at least in the eyes of many developed countries. Most of the countries worth to travel, requires a visa from me and my people. Not the one, you can pay and buy from the airport. The one that you need to apply well in advance, with files of documents, proving that you are rich enough that you would not dare to migrate to their country. Moreover, to take this visa they ask for a huge amount of money (for instances a visa for our family to Britain costs around 2.500 usd.) That’s why, many people in my country just prefers to travel to countries that do not require visa. But more moreover, some countries procedures last weeks, which means being apart from your passport. That’s why we did not go to New Zealand for instance, as we were told that we need to give our passports to the consulate for about a month. They must be crazy. For EU countries (not all, but most) we are required to have a Schengen visa, which can be taken from any EU (not all, but most) country consulates and be used in Schengen countries plus Switzerland. OK I am coming to the point: The reason we did a long weekend to Copenhagen was, our 1 year Schengen visa was about to end (which was taken from Belgium consulate), so we thought we must go to somewhere in EU, in the end of the week we were in. After a brief search of alternative flights and hotels and “list of have not been countries”, we ended up in Copenhagen-a country only I had been before, my husband and our son did not. Unfortunately the visa humiliation does not end in the passport. When we reached Copenhagen airport, we were among the first ones got off the plane. However, just after the first corridor, there was a security guy checking the passports and the visas and when he saw ours, (I do not know why) he probably decided that we very much look like refugees and made us stand at one side, to consult about our visas to many of his friends. (And I do not know why) this took them about 20 minutes, while in the mean time, all the other passengers passed us, with the thought of “They must have done something wrong” in their minds and eyes. They finally let us “in” and we had a very nice long weekend escape as a family, but we do not think that the humiliation in that border was something we deserve and I will prefer not to go to Denmark again, if I have chance not to. Imagine there’s no countries, it isn’t hard to do…I miss John Lennon!! 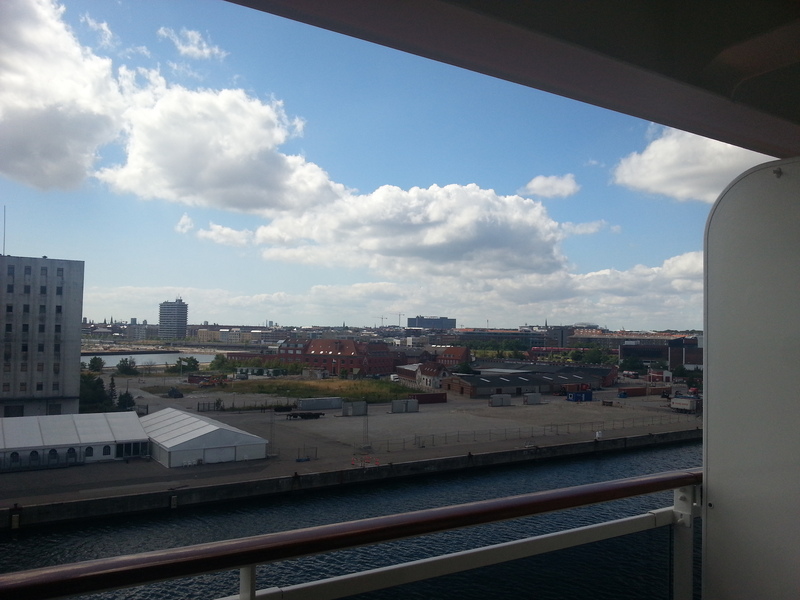 The happy end of our Great Cruise tour last August was in Copenhagen. I was very much dreaming of sleeping a bit of more hours in the morning, but we were told that we have to leave the Cruise at 8 in the morning (Although our flight back was late in the evening). Moreover, we had to leave our luggage in front of our room door before midnight. Sounds like a booth camp, rather than a holiday. Since we joined this cruise trip with a group of around 40 people from our country, we all had to get on a bus and go to the half day Copenhagen tour. 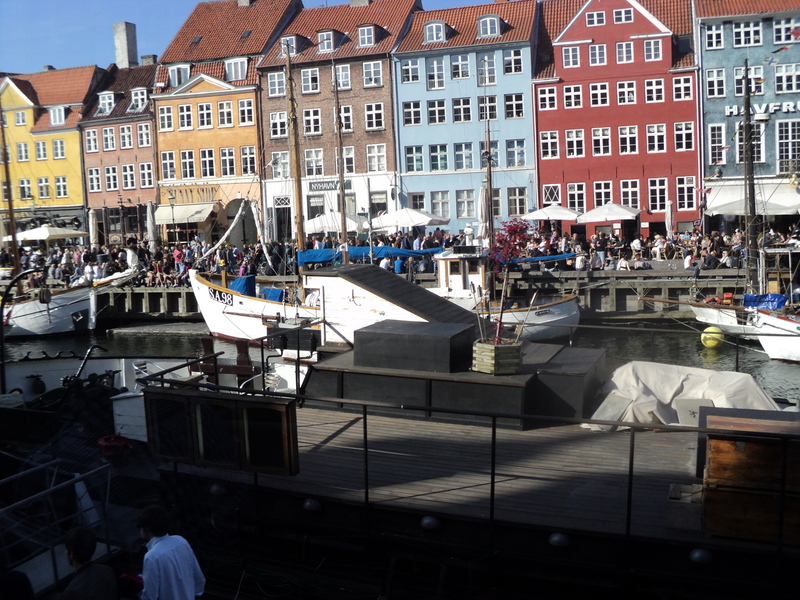 I did not fancy it so much, as it was my third time being in Copenhagen and the second for our son and my husband. So we asked our guide to leave us somewhere in the center, but the answer was no. We had to visit the little mermaid once more, and buildings of the king and queen and Tivoli parks (from the bus). After a 4 hour tour mostly on the bus, sometimes walking, with another 100 tourists, we were free to enjoy a couple of hours at Nyhavn-at last. 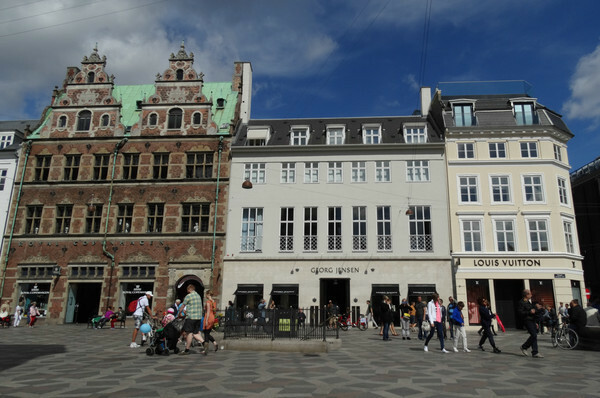 So we had a nice lunch at Nyhavn and some shopping on the main Pedestrian road of Copenhagen-Stroget-the longest pedestrian street of the world. Me: What comes to your mind first, when I say our Cruise trip. Me: Anything from day trips? The main activity of our summer has been the Cruise trip with MSC Poesia to Norwegian Fyords. We were a group of 8: Me, the organiser-as always, my husband and our son-as expected, my mom and her husband, my uncle and aunt and my grandfather. So group aged from 9 to 90. Tough isn’t it? Actually our flight to the Cruise point-Copenhagen, started a day earlier, so let me start by telling you the day -1. Since our flight was an early bird one (Which we all hate) first-time-ever, we stayed in the hotel just by the airport in our home city, although we live just about 30 min. from the airport. We enjoyed a fine wine with a well done meat for dinner, in a wine yard close to the airport, and the airplanes passing just above us. We saved about 45 min. more sleeping time and in my opinion can save your next day, especially if you are not an early bird family. Day 1 was a typical traveling date, long flights with some delays. First breakfast at the first flight, second one at the lounge and the third breakfast at the second flight (not a good start for my diet). Arriving to Copenhagen Airport, transfer to our cruise and getting into the first queue of never ending “get in the queue” ‘s. 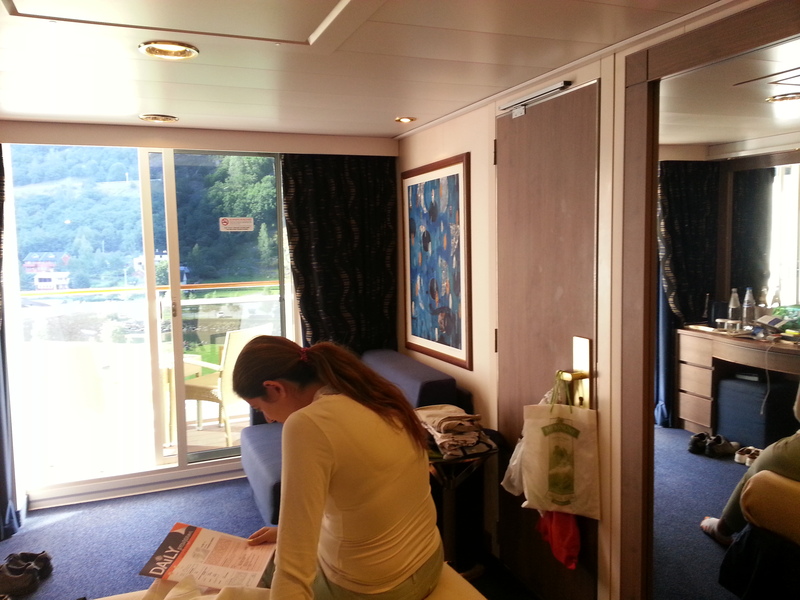 After about an hour of waiting in the queue, we finally got on our ship found our rooms on the 10th floor, saw how a room can be so tiny. Opening the extra bed for our son and the situation got worse. Good that my grandfather is with us and staying in a single room:-) Our son is immidiately posted to my grandfather’s room and here it is, we have a rather normal room again. We were told that the restaurant on the 13th floor is open all day. That would be a good choice for a late lunch actually, but we got our first lesson right after. It was absolute mess with lots of children around, people with loads of food on their plate are searching for some more and we try to find a place to be seated. Lesson number one: Never ever eat lunch at 13th floor. Having started the day very early in the morning, I would die for a mid-day nap for a few hours but duty was waiting. First I went to listen the extra tours provided during the tour, as we were a big group I wouldn’t risk not to take a tour. Later on I understood that I did the right thing, as the Norvegian Fyord cruise ports are on very tiny villages, where you would not find much things to do. Bus/Train/Boat tours on the other hand take you to further than the Fyords, which you will see on the coming days. 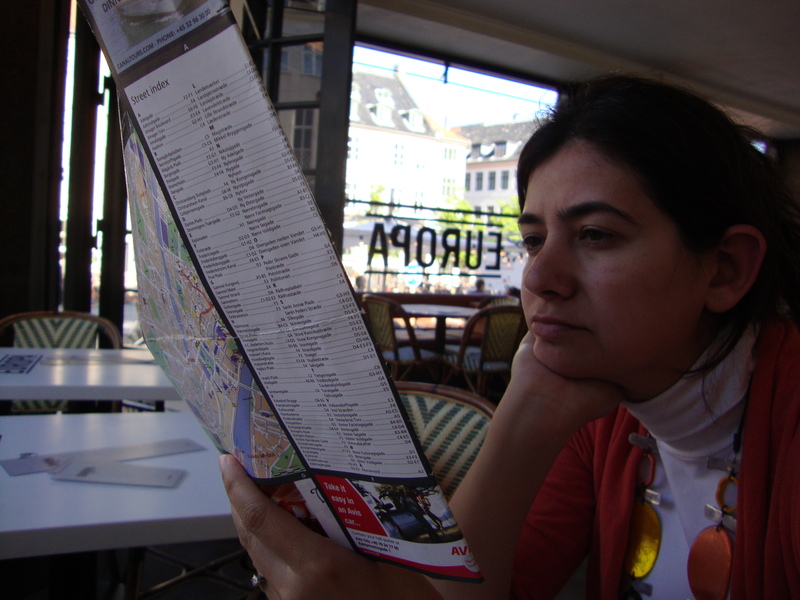 Listening the tours and deciding the suitable ones for us, did not finish the duties. 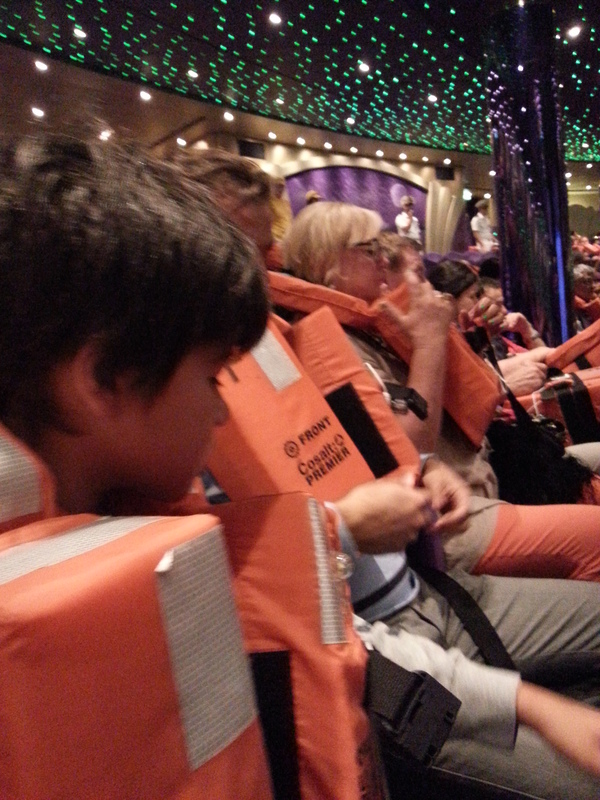 We all supposed to be in the rescue training at 5:00 pm, ready with our life jackets. Listening to “What to do” in 7 languages and find out the deck we would be ready. Fun but not for sleepy tired people like us. Just after we settled down we met our waiter; an Indonesian guy, so kind, but unfortunately did speak very bad English. Somehow we managed to order, eat and finally got in our beds, before sunset of north.